Hibiscus was launched with the support of one of Margaret Thatcher’s new business loans and is now the only company in the local area, still in existence, that received this financial help. We began 35 years ago in the back bedroom of Brian and Dorothy Killerby’s home, on a handmade label rewinding machine that Brian made himself. Brian has a background in chemical engineering having spent time at Rowntree Mackintosh where he was a project engineer involved in the manufacture of After Eight mints and Black Magic chocolates. With the help of Brian’s parents, the family worked long, hard hours and grew a successful business. Our first year’s profit was a well-earned £74! 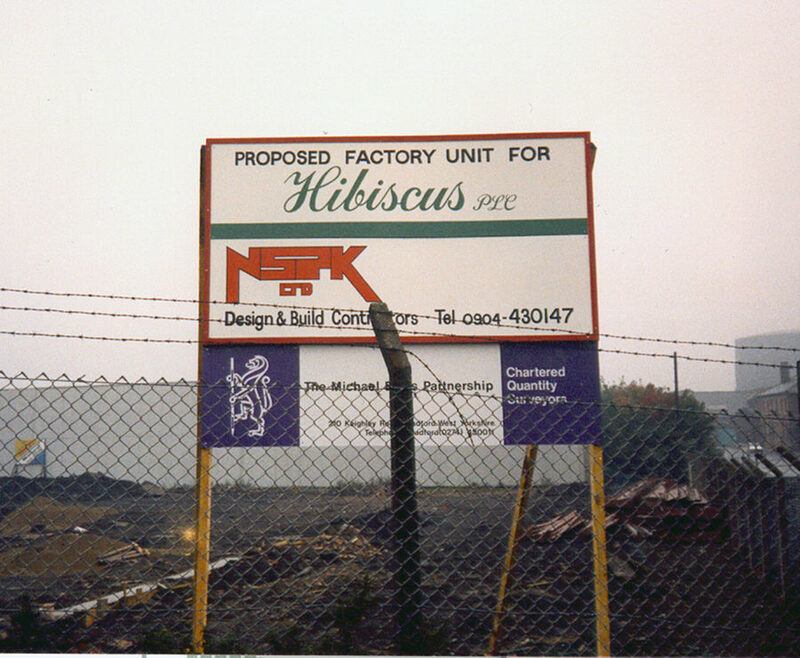 In 1986, Hibiscus moved to its current, purpose-built site on the outskirts of Leeds. In 2004, we expanded and tripled the size of our facility, which is home to our printing plant, artwork and software studio and sales team offices. Thirty-five years later, under the directorship of James Killerby (Brian and Dorothy’s son), we’ve grown into one of the UK’s largest manufacturers of chemical labels and hazardous goods labelling software.